Please review the list of acceptable and unacceptable items for disposal outlined below. If you have a question about wastes for disposal, please contact us in advance of bringing the material to the landfill. 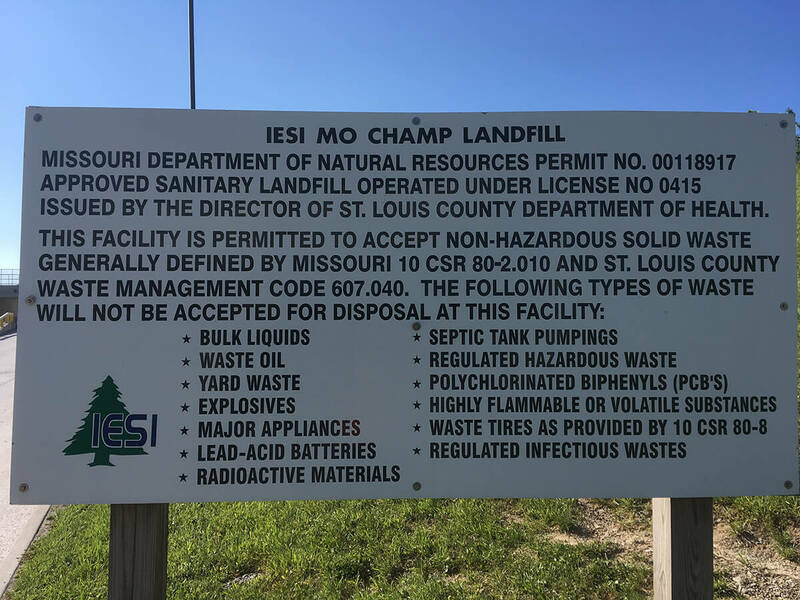 Call Champ Landfill at 314-279-5777 or email us. Please review the list of Champ Landfill's accepted and unaccepted materials. For safety reasons, yard waste materials are only accepted Monday through Friday. They are closed on Saturdays. 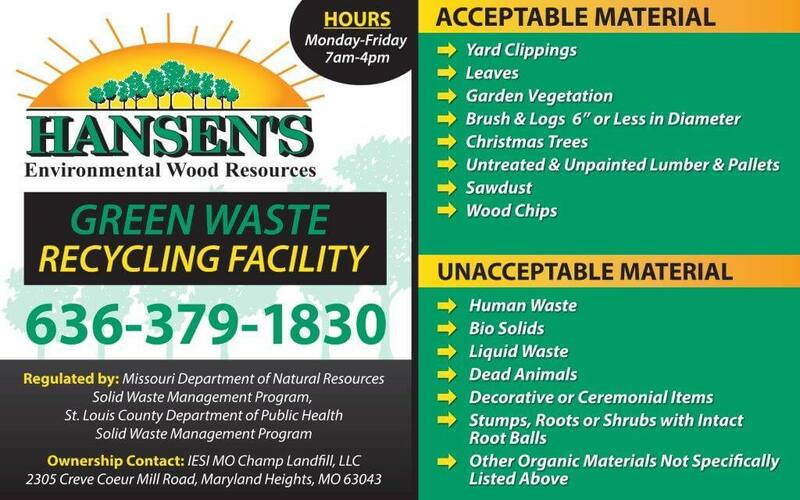 If you have a question about what kind of green wastes are accepted for recycling, please call Hansen's Environmental Wood Resources at 636-379-1830. For your convenience, the Champ Landfill also provides a location on site that accepts green waste for recycling. Please read what green waste materials are accepted and unaccepted and keep green wastes separate from other materials.